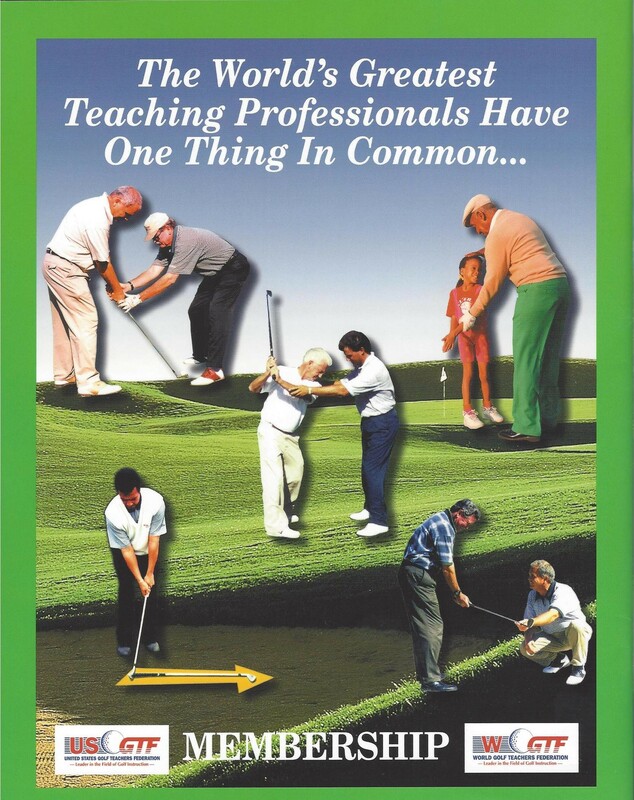 STAYING IN CONTROL OF YOUR GOLF LESSONS! Have you ever felt yourself losing control of a golf lesson? I see it happen quite often, and in all honesty, it has happened to me more than once. Maybe you think you have never lost control of a golf lesson in the past. I’m not talking about the entire lesson being in disarray with you and your student hollering at each other. Hopefully, if you do lose control, it will be much more subtle than that. What can we use as criteria to determine losing control of a golf lesson? How about a breakdown in communication, to the point of your student saying that he/she doesn’t understand what you are saying to them? What about you and your student disagreeing on the objective of that lesson? What if your student was to get frustrated to the point of raising their voice towards you and telling you that you don’t know what you’re doing? I remember losing control of a lesson once, and from all appearances, my student had no idea that I felt that way. Let me tell you what happened! With the help of video, I had shown my student that his trailing leg was bowing outwards during the backswing. I explained that we needed to keep the knee on the inside of the foot at the top. I had the student do some drills, make some practice swings, and then hit some golf balls. After hitting a few balls, the student was getting frustrated because he was hitting the ball so badly. Frustration was rising! Finally, he hit a ball very nicely, and I could see that he was pleased. His pleasure with hitting the ball that way broke the tension that was present. I liked it that he was so pleased, but I said something to him that I really didn’t believe. I said, “Now that was better!” It wasn’t, though. His knee bowed out as bad as it ever had. You see, I lost control of the lesson right there. In one sense, it was an honest mistake, because I really wanted to give the student some praise, and my intentions were to help. However, I allowed my student’s frustration to cause me to lose focus and say something that I knew wasn’t true. I knew better than that, though, and in the years that have passed since, I’ve been careful not to make that kind of mistake again. So, let me give you my opinion about this kind of situation. A few minutes into a lesson, after an evaluation has been made and a certain amount of give-and-take between the student and teacher has taken place, the teacher should make it very clear to the student what they will be working on. The teacher should always remember that the student is sensing a different feel each time they make a repetition of a certain motion or position. If the teacher tells the student that he did well, even though he did not make the correct motion but did hit the ball solidly, the student’s confusion will only be magnified. Remember this: Although you don’t always need to say everything that is on your mind to a student, you should never say something that you know is untrue, even if you’re doing it to relieve a tense moment. If you are going to stay in control of a lesson, you need clear communication, an objective, and the self-confidence to stay focused on that objective, even when you feel that the student is becoming frustrated. Your students are coming to you because they want you to lead them…so lead them! Many of them can sense when your confidence is wavering. Hold their nose to the grindstone, or to use another term, keep their feet to the fire. Train them that if they will work on the new position and not worry how they hit the ball, they will make more efficient progress. Trust your instincts and teach with confidence. Let me balance that out now! At the end of the day, the quickest path to trusting your instincts and teaching with confidence is by constantly assessing your decisions and actions and having the guts to admit when you were wrong. Good golfing!